This bull and bear desktop business card holder has a heavy weight and a felt bottom to protect your desk. 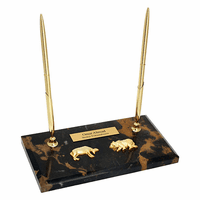 It is made of heavy weight black and gold marble and has a felt bottom to protect your desk. 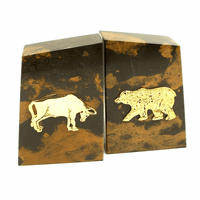 The attached brass emblem includes a bull and bear symbol, a great gift for stock brokers, financial planners and traders. 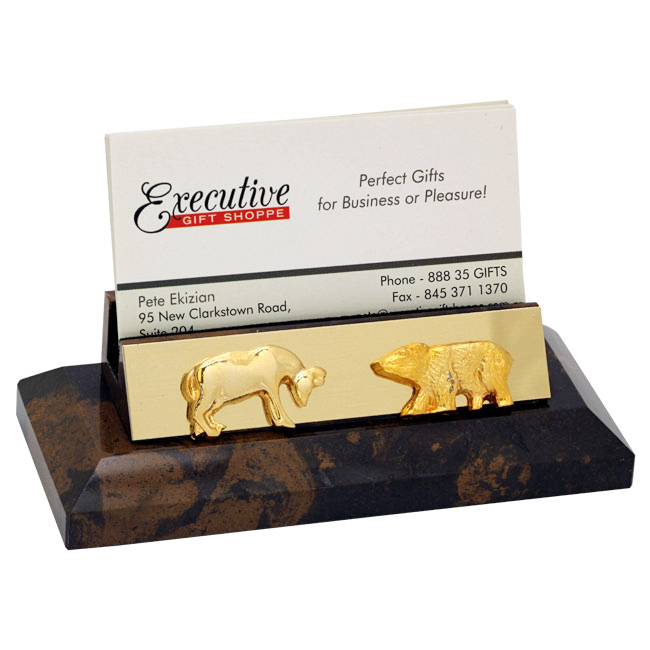 This desk business card holder holds up to twenty five business cards. 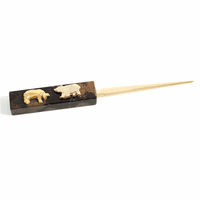 It comes packaged in a gift box, ready to be given. 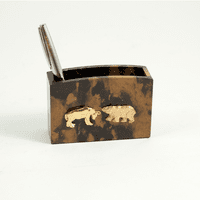 Gave this card holder as a gift and the recipient loved it. Too nice for the office. Afraid it will get stolen, so it sits on display in his living room.